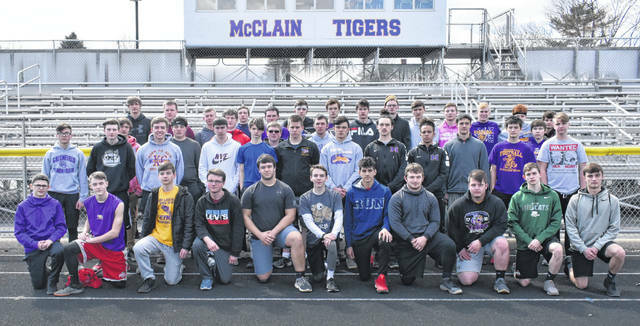 The McClain Tigers boys Track and Field team gathers for a team photo on the McClain High School track. The McClain Lady Tigers girls Track and Field team gathers for a team photo on the McClain High School track. 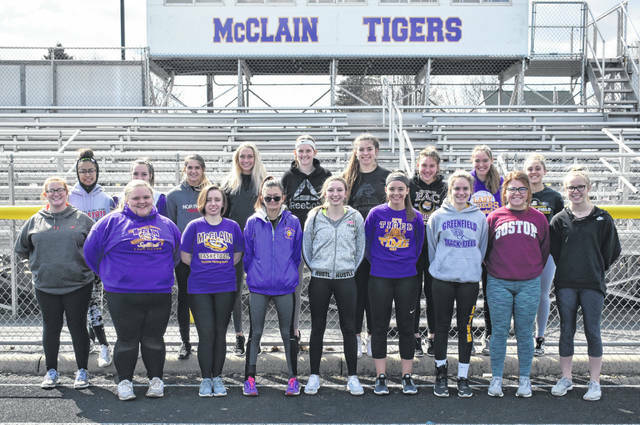 McClain’s Tigers and Lady Tigers Track and Field teams are at the same point on the development curve this season according to Boys Head Coach Nate Luke and Girls Head Coach Jake Orr-Zody with the Tigers aspiring to be at the top of the Frontier Athletic Conference and the Lady Tigers in a position where they expect to be competitive as a team. Luke made it clear that he feels the boys on his team have the talent and dedication to reach the top of the FAC standing in 2019. Orr-Zody was more tentative when talking about the goals for the girls team this season but, he feels the program is in a place where the team as a whole should expect to be competitive at every meet. Luke is expecting big things from his upperclassmen this season both on the track and in leadership roles. The Lady Tigers on the other hand will need youth to trump experience this season for the team to reach all of their goals. Orr-Zody also understands that his team will need to overcome the disadvantage that their inexperience presents the team with. “A strength should be our speed and athleticism. A weakness is our youth and inexperience. We graduated to two significant membera of our team from last year in sprinter/hurdler Chayden Pitzer and thrower/sprinter Hunter Scott. Replacing those two won’t be easy but I like who we have ready to step up for us,” Orr-Zody told The Times-Gazette. Both coaches have new and returning athletes that they expect will help their respective teams this season.